Border protection measures preventing counterfeit and pirated goods entering New Zealand will no longer be the sole responsibility of rights holders, and Customs will soon also be able to stop infringing goods from exiting New Zealand. Currently, copyright or trade mark owners can lodge a border protection notice with Customs, recording the details of their brand or artwork. Once the notice is filed (and a $5000 bond paid), Customs monitors the importation of goods and detains any that it determines are infringing those trade marks or copyright works. The goods are detained and the importer and rights holder who filed the notice are advised. From there, the importer can voluntarily forfeit the goods (in which case the goods are destroyed) or make a claim for the goods. If a claim is made the rights holder has a limited time to persuade the importer to forfeit the goods or file proceedings in the High Court for an order declaring the goods to be infringing. If no action is taken, Customs will release the detained goods to the importer. Customs notices are a powerful tool for copyright and trade mark owners to stop counterfeit products entering New Zealand. As a result of the Comprehensive and Progressive Agreement for Trans-Pacific Partnership (CPTPP), from 30 December 2018 that tool will get even stronger. New Zealand Customs will have new powers to initiate border protection measures without first having a notice from a rights holder. From 30 December, if Customs suspects goods that are being imported, exported or in transit (from one Customs office to another) are counterfeit or pirated goods, they can temporarily detain those goods and notify the rights holder. This allows the rights holder the opportunity to take infringement action against the importer (or exporter) of goods even though they didn’t have a Customs notice in place. The power to detain goods has also been extended to goods that are destined for export or exported from New Zealand. The CPTPP Amendment Act amends the Copyright and Trade Marks Acts by introducing references to exporters and expanding Customs’ powers to detain “any goods” (previously this was “any imported goods”) which it considers infringe an accepted notice. Cutting off counterfeit and pirated goods at the border helps protect the exclusive rights granted to trade mark and copyright owners – something all rights holders should consider. This new regime expands the scope for doing just that – it gives a rights holder greater opportunity to prevent the abuse of their intellectual property rights through imports and exports. 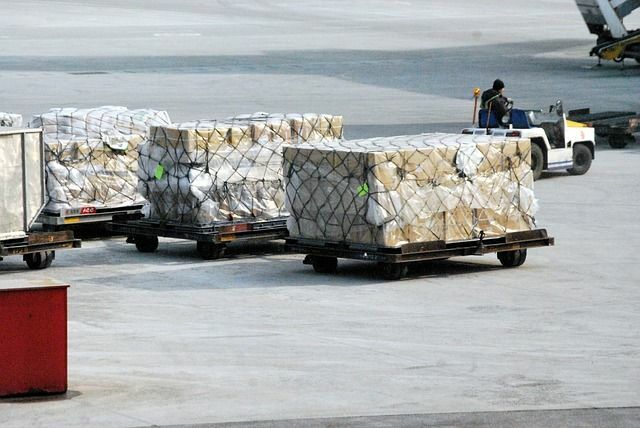 Although it gives Customs the power to detain goods off its own initiative, we still strongly recommend having Customs notices in place—this will not only help Customs be aware of intellectual property rights that may be infringed, but will also help Customs identify who it should contact once it detains counterfeits. Implying terms: Belize or BP Refinery?